5 piece Village Scene Tea Set with bamboo handle and infusion basket. Tea pot width from tip of spout is 6 1/2". Cups are 2 3/4" in height. 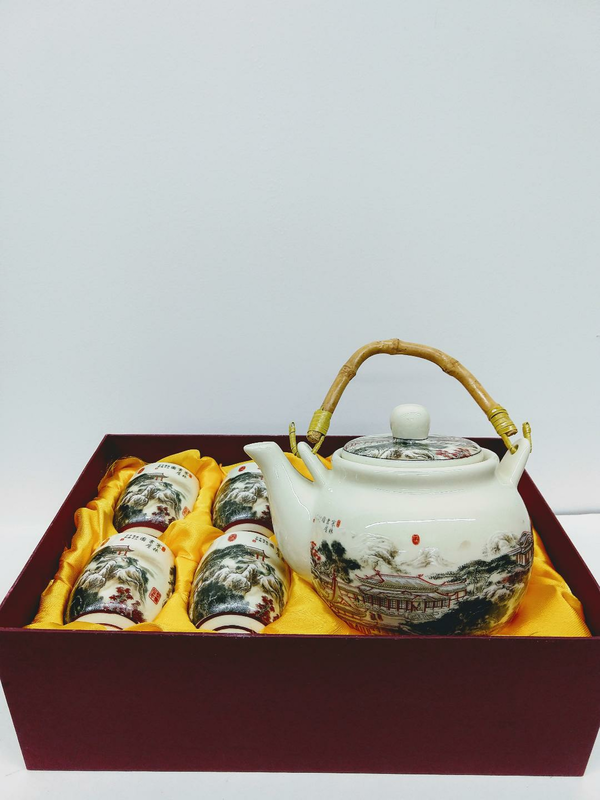 Tea set is packed in own gift box.